Download Product Landing Page Template PSD. Here’s a neat product landing page free psd is elegant and perfect for a product presentation website and suitable for any type for eCommerce website. You can use this freebie for any type of product. It has a bold color scheme and uses huge images with plenty of information to make your products stand out more. 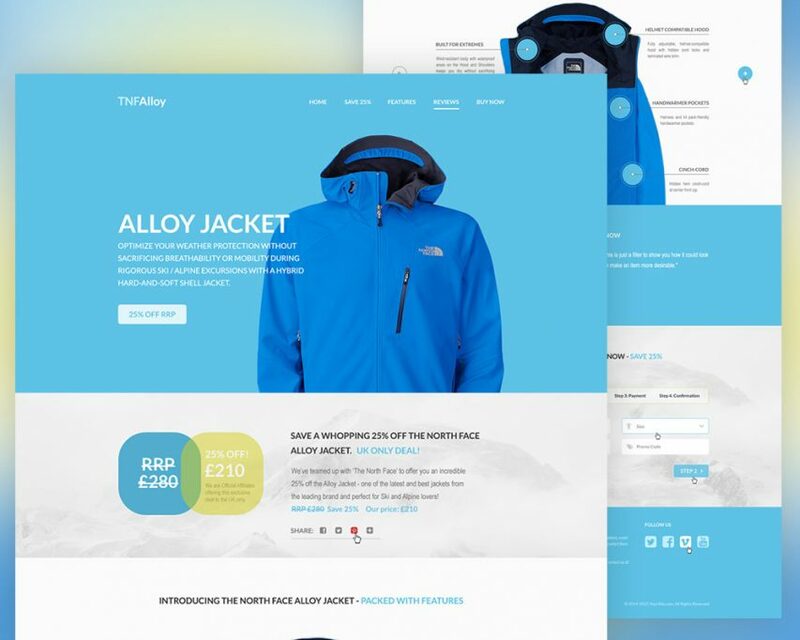 The landing page design template is simple with a standard layout. All in all the elements used in this product landing page website template make this free one page website psd highly usable for your upcoming personal and commercial projects. Hope you like it. Enjoy!